I don’t think either of us could have known that a chance meeting outside a London pub in 2007 would lead to a wedding about five years later. Although, Brendan vows he knew I was “the one” right from the start. We dated briefly the year we met, both of us ‘fresh off the boat’ – I was from Australia and he from South Africa. Having similar experiences of recent heartbreak, which lead us to London, we now found solace in each other’s company. But fate dictated that I return to Australia just three months later. After three years of continued friendship, phone calls and endless stories about our lives at other ends of the earth, there was finally another opportunity to meet up. I was going to visit London. And that was it, as soon as we met up we both realised what we had was too special and started our mission to be together in the same country – it would be another two years, an engagement in South Africa, a lot of conversations on Skype and another stint in London before we would get married in Australia. And when we did we had an intimate wedding with a small group of family and friends at Strickland House in Vaucluse, Sydney, where we exchanged our vows. 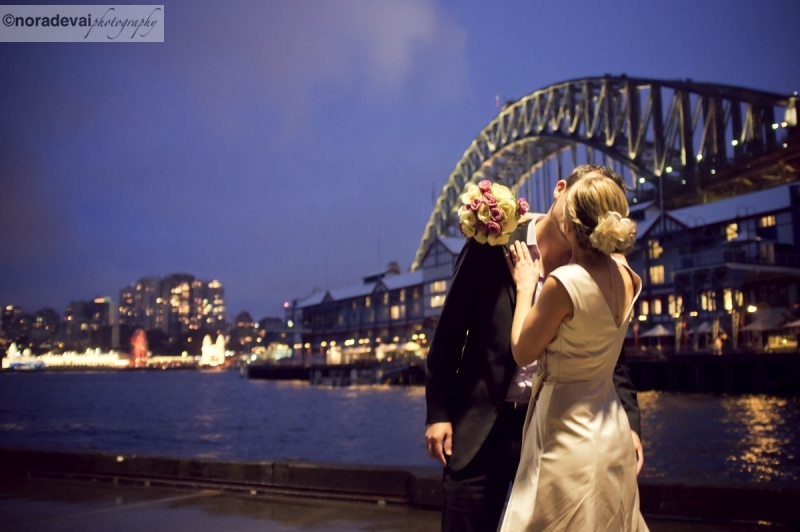 We then had our reception at the Wharf Restaurant @ Pier 2, Walsh Bay, overlooking the Harbour Bridge where the food was devine and we could enjoy the warm glow of our accomplishment, despite the rainy winter’s day outside. 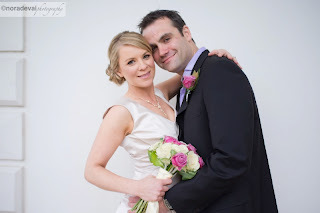 We opted for a simple wedding as planned to have an extravagant honeymoon. We chose to go to French Polynesia and Bora Bora eight months after our wedding, and it was the perfect way to relax, unwind and reflect on our how far we had come to be together.....and not a single regret! 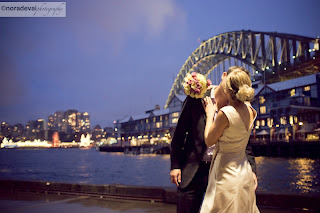 Get inspired at the upcoming 2013 Ultimate Wedding Planning Party, Sydney Opera Point Marquee, May 8, tickets available now! You could really say the long wait is over. Your patience and love for each other is so big that distance is never an issue. I call one extra wedding in my book. Congratulations!